Yesterday was a big day for the Power BI team, as we released the first edition of Power BI Paginated Report Builder. Why is this such a big deal? Well, while Report Builder has been around for years, many Power BI users have not only never used the product, they’ve never tried to build a paginated report, period. Now they can do just that, and I’m going to cover the top ten reasons why, if you use Power BI, you should download and learn to use Power BI Paginated Report Builder. It’s completely free to download and use. Who doesn’t like free? 2. It doesn’t require Power BI Premium (or even Pro) to use it. I have a similar experience as I would as a consumer in Power BI, including several key items I’ll cover shortly. Then create a new “SQL Server Analysis Services” data source in Power BI Report Builder. 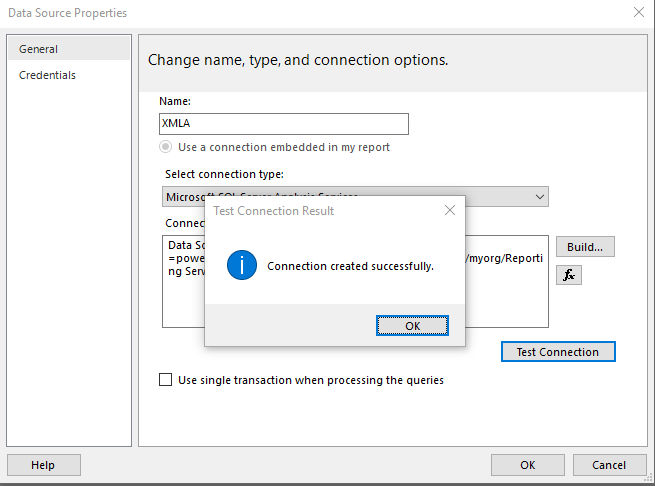 Type the phrase “Data Source =” in the Connection string dialog, paste the copied string from Power BI in there and hit “Test Connection”. You’ll be asked to sign into Power BI, and assuming you’ve followed these simple steps, it’ll connect successfully and you can start building paginated reports with it! While Paginated Reports are only available in a P1 SKU and above (or A4 SKU and above), the XMLA endpoint is available in every SKU, including down to A1 or EM1. So you can create and use Power BI datasets from any workspace that supports the XMLA endpoint when authoring your reports. The only restriction is that when we support publishing reports with Power BI datasets to the service later this month, you just need to publish it back to a workspace that does support Paginated Reports. Don’t worry that your dataset might be sitting in a different capacity or workspace – we’ll explain more when we announce support in the official blogpost. 5. 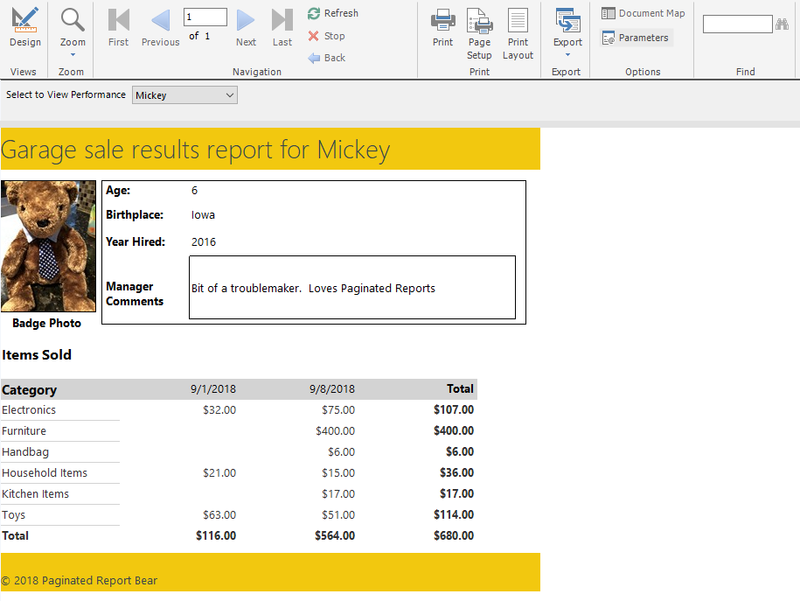 With the ability to use the same Power BI datasets used for your interactive reports, you can easily create basic paginated reports for scenarios as simple as exporting tables of data, or a print-friendly view of your Power BI Desktop report. I’ll be the first to admit many things in Paginated Report Builder are harder for report authors to achieve than they are in Power BI Desktop. But for many basic scenarios, like creating a simple table I know users will want to export out large amount of data from, Paginated Report Builder makes that very, very simple and is often times a better option. I’ll have a walk through in a follow-up post where I can show you how to do either of these scenarios with your Power BI datasets, in some cases in a matter of minutes. I covered this in an earlier blogpost – Yes, you can export unlimited** rows of data from Paginated Reports in Power BI, but if your organization has Premium workspaces that support Paginated Reports, this is worth keeping in mind. Now that you can create paginated reports against your datasets in Power BI Premium, having a simple paginated report for export scenarios might help unlock certain scenarios you couldn’t before for your users. 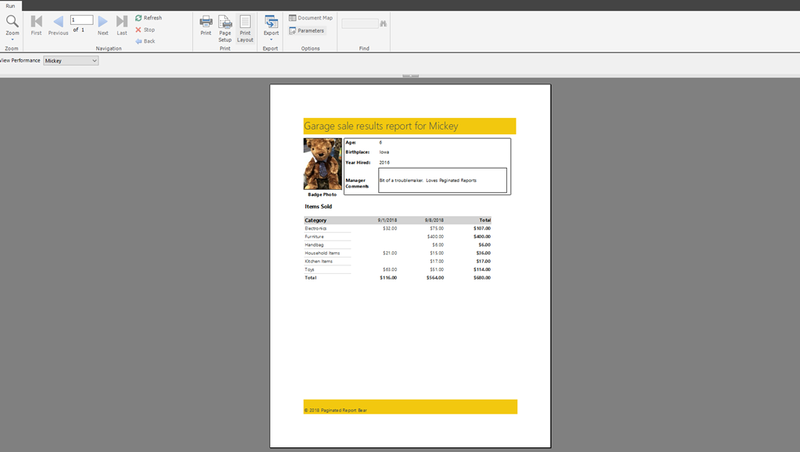 You probably noticed in the earlier screenshot there was a print option for a report you’re viewing in the tool. You weren’t imaging it – you can print out your report right from the toolbar, and can even look at a Print Layout view of your report while interacting with it. This option isn’t even available in SQL Server Reporting Services (! ), and is a great way to see how your report will look once you do print it out. 8. You can export your report from Paginated Report Builder to several different formats, including PDF, Word, Excel and PowerPoint. In addition to the ability to Print, you can also export to several different formats right from the toolbar when viewing your report. This is a powerful capability that few tools have in their authoring environment right out of the box. 9. In a future update, we’ll have support to connect to Power BI datasets in non-Premium workspaces when authoring reports. This will make this even more of a no-brainer, as it’ll open up all the scenarios we’ve discussed in this post to any Power BI dataset. Look for more details on this in the coming weeks. A great place to start is with Patrick LeBlanc from the Guy in a Cube channel, who I work closely with. He has put together several videos around Paginated Reports to help get you going. Additionally, you should see several more in the coming weeks as more and more functionality is announced, plus the blog posts I’ll be adding as well. I’ve added the playlist from YouTube below. I could keep going, but ten feels like a good place to stop on a lazy Saturday. If you’ve never tried paginated reports before, now is your chance! 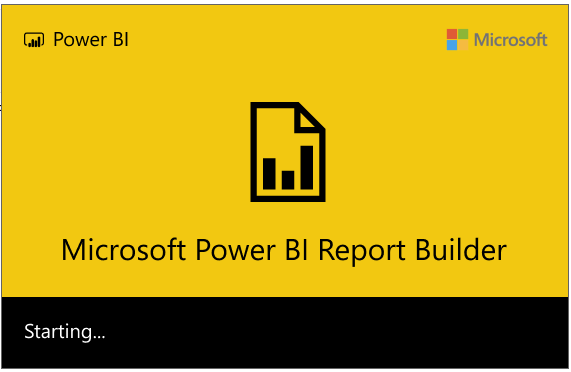 Go download Power BI Paginated Report Builder today and learn what all the fuss is about. Reblogged this on MS Excel | Power Pivot | DAX | SSIS |SQL. Love seeing what you’re doing. Everything you touch turns out killer functionality. I’m very excited about this. Been waiting for this. I downloaded/opened the tool and I’m not sure what data connections I can use beyond the types showing – SQL Server, Azure, etc. I thought MS said all the connections available in current Power BI would be available here. How do I connect to my OData source or Netezza source? Can I at this point? Thanks! We don’t have support for oData or Netezza directly using the legacy data providers that were in SSRS at this time, and would suggest if you’re interested in seeing that to create an idea on ideas.powerbi.com – we are planning to have support for those both via Power BI datasets and via Power Query, however. Thanks for the reply. I’ll make the suggestion! Great long awaited feature..Is there a on premise gateway update coming to allow paginted reports created that connect to an xmla endpoint to connect? When i upload a report to my premium subscription, it complains that the gateway can not reach the analysis server. Not sure why it would be trying to go through a gateway. It won’t let me add a Powerbi XMLA endpoint datasource..
You cant yet publish reports built against PBI datasets back to the service. Give it a couple weeks. I used the new Power BI Report Builder to connect to my Cloud Power BI data set and created a simple report. But when I upload the RDL file to the service, It errored out. I then tried SQL server report builder but it doesn’t allow me to connect to my Cloud Power BI data set. Instead I connected to a local SQL server and I successfully uploaded the rdl file. However, I can’t include it in App as the toggle is greyed out. My workspace is in premium capacity. I mentioned in the original blogpost publishing back to the service with your Power BI dataset isn’t currently available, it is rolling out next week. App support is rolling out this week, it’s been enabled partially depending on the region you’re in, and will hit everywhere by the weekend. Chris, that’s what I thought. I confirmed with our Power BI admin and the paginated report feature has been enabled on our side. Thanks for your confirmation. By the way, I am based in Sydney Australia.